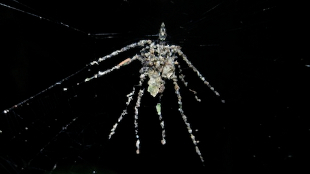 A putative new species of spider found in the Peruvian Amazon uses forest debris to weave sculptures that resemble a giant spider into its web. 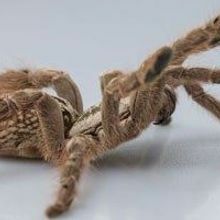 PHIL TORRESSome species of spider are known to weave elaborate patterns into their webs, but a newly discovered spider in the Peruvian Amazon tops them all—by sculpting what appears to be a giant mock spider from dead insects, leaves, and other forest debris. 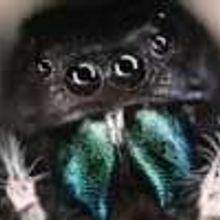 Believed to be a new species in the genus Cyclosa, which includes spiders known to build web structures, the 5-mm-long spider may use the decoy to confuse predators. Biologist and science educator Phil Torres spotted the unusual behavior while leading visitors around a floodplain near Peru’s Tambopata Research Center. 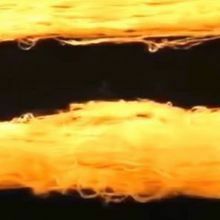 He contacted arachnid expert Linda Rayor of Cornell University in New York, who confirmed that the construction of spider-shaped decoys has never previously been observed. Torres later returned to same area and found around 25 more spider-building spiders within roughly one square mile. “I have never seen a structure just like this,” William Eberhard, an entomologist at the Smithsonian Tropical Research Institute and the University of Costa Rica, told Wired, though he noted that identifying the spider as new species based on the decoy-building behavior alone is probably not possible. Torres plans to return to the same area in January with a permit to collect specimens, which will help to verify whether or not the decoy builder is indeed a new species. Clarification (December 20): Phil Torres found around 25 spiders that build into their webs structures resembling giant spiders. The Scientist has added the information and regrets the omission.